Pristina is the work of British designer Phill Grimshaw. It is a calligraphic typeface that displays all the natural, unrestrained qualities of cultured penmanship. 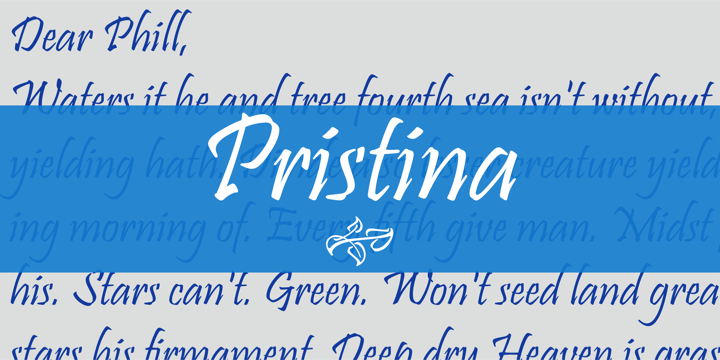 Pristina’s capitals should be used exclusively as initials. The font is ideal for both large display sizes as well as small text sizes, and it lends a personal touch to projects it accompanies. More information here.